Lacquer: The Best Medicine! : May Multi-Blogger Giveaway WINNER! Hi all! I am just writing this quick post to congratulate Veronica P. for winning my portion of my May Multi-Blogger Giveaway! You can click that link to see the names of all of the winners, but I don't have them assigned to prized on the rafflecopter widget. 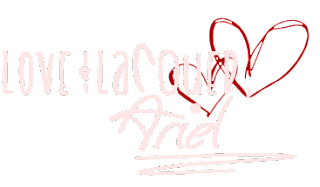 If you have not received an email but your name is on the widget, please email me at ariel@lacqueristhebestmedicine.com. All of the other winners should have received emails by now, so congratulations to you, as well! Keep polishing, and keep your eyes peeled for another giveaway coming soon!